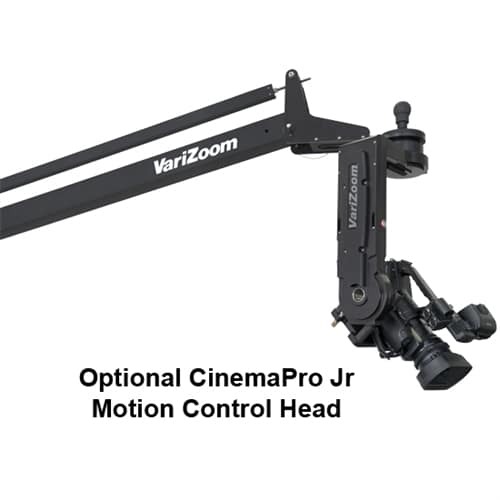 The QuickJib (jib only) is our low-cost, high-performance camera crane / camera jib for up to 50 pound payloads. 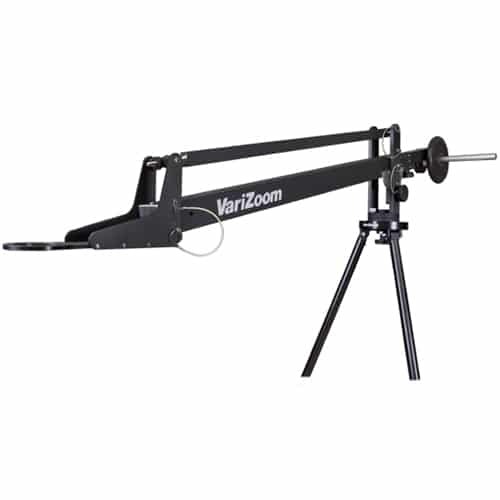 Easy to assemble in two different lengths with the optional extension, this compact and portable video camera jib is ideal for indoor, outdoor, and studio applications at any budget. 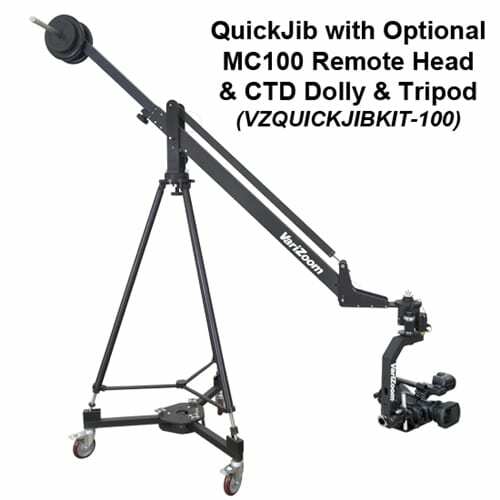 The QuickJib is a heavy-duty, rugged piece of gear built to higher standards than cheaper jibs and cranes, and it comes with a full 2 year warranty. 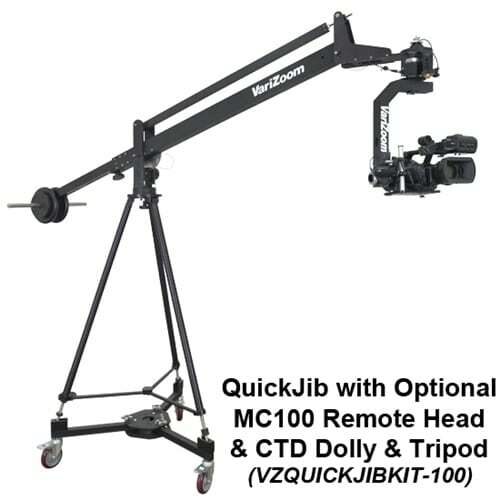 VZQUICKJIB camera cranes VariZoom’s QuickJib is a truly professional camera crane that represents the perfect balance of quality and economy in a well thought-out design. This is the answer for those who love all of the options of the SnapCrane, but aren’t ready to spend that much. 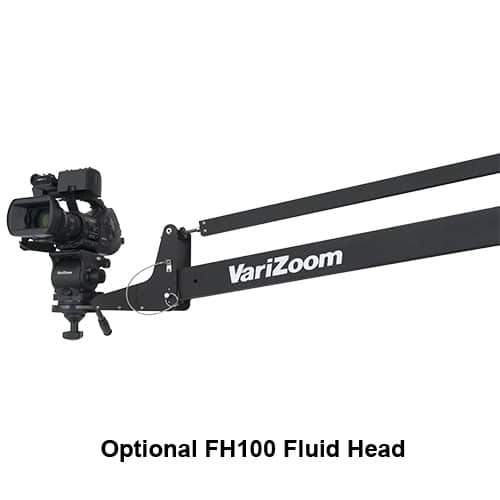 The Quick Jib gives you many of the features of the Snap Crane at a more affordable price, and it’s equally good as a filmmaking crane, sports video jib or a church and house of worship crane. 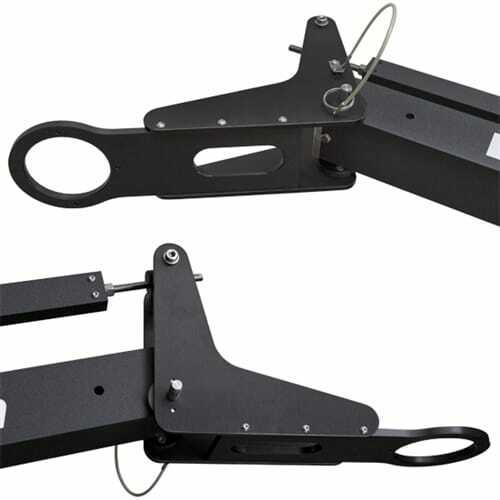 With the Quick Jib you get a secure captive clamp system for extending the jib, along with lanyard-attached stainless aircraft pins for quick assembly. 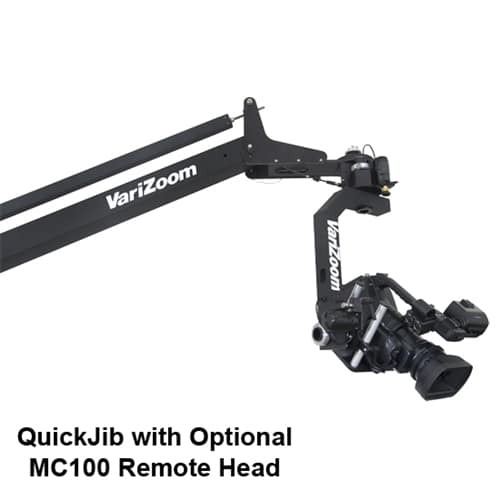 The QuickJib is a professional, tool-free jib arm that assembles rapidly and safely. The QuickJib, like all of our products, was designed for years of trouble-free, reliable operation in the field. With attention to every detail, we have created a tool that will last generations with proper care. 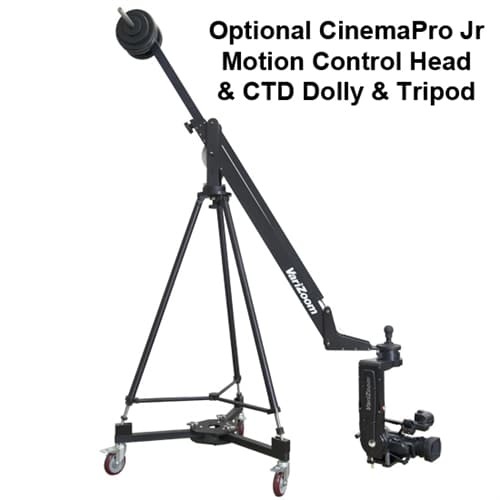 Starting with the simplest package (jib only) up to our complete system (recommended), which includes dolly and tripod legs, you’ll see that we consider safety to be the highest priority. Professional camera cranes are a useful tool, but they can be dangerous if made with inferior materials or poor design. 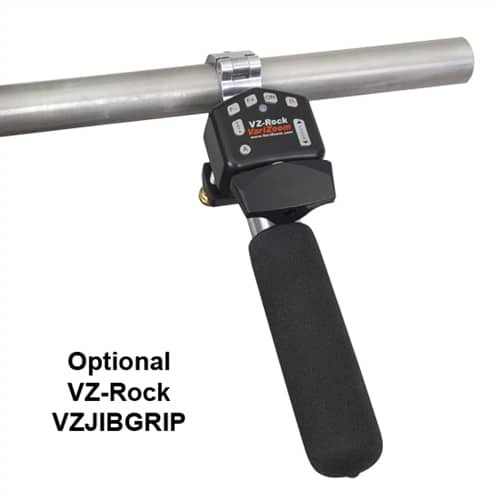 The QuickJib video camera crane selectively uses industrial powder coating and anodizing for durable cosmetics, with stainless steel fasteners throughout. The slim QuickJib outperforms the competition by having less air resistance in breezy conditions than jibs utilizing a four-arm support system (never use in high-wind conditions). 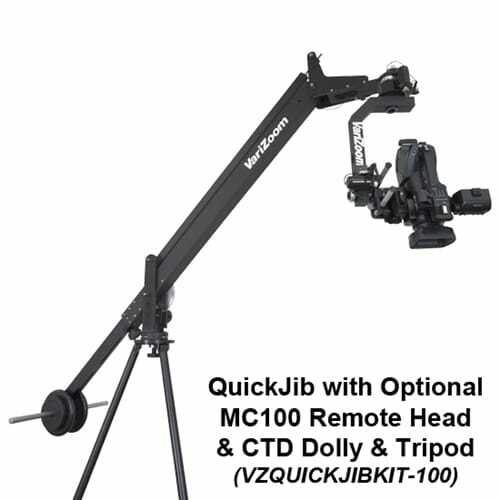 The QuickJib will mount to any 100mm tripod, although we recommend only using non-telescoping legs for safety. Additionally, our quick extension kit attaches to the camera crane in minutes with absolutely no tools, as opposed to more cumbersome systems that require multiple tools and bolts to attach their extensions. 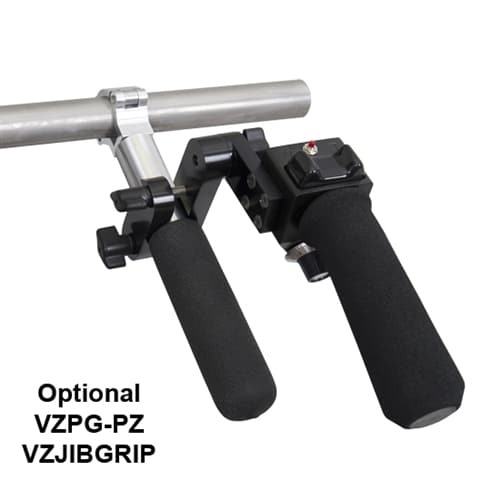 The extension kit mates to the standard jib camera crane with our Captive Clamp Joint system, which uses two ergonomic, high-torque hand knobs to compress the captive clamps, assuring the joint is rock solid. 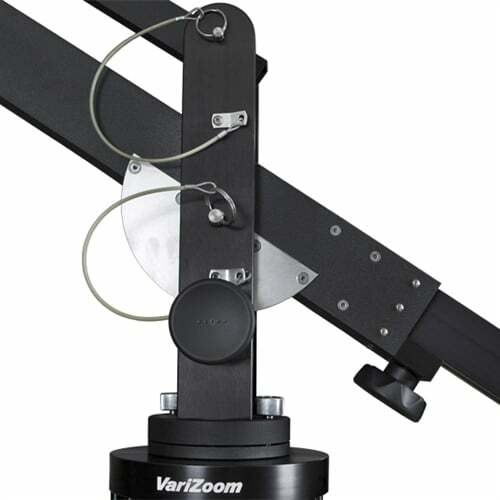 Brake System – VariZoom’s Brake system utilizes a heavy-duty plate that is securely mounted to the pivot section. Brake compression system is built into the left stator of the pan/tilt base and designed to add significant variable drag, but forgiving enough to slide under extreme force that could otherwise topple a locking-brake jib system. Locking Pins – Locking stainless aircraft pins of high quality and strength are used at the pivot points, and they are attached by lanyard to prevent them from ever being lost. 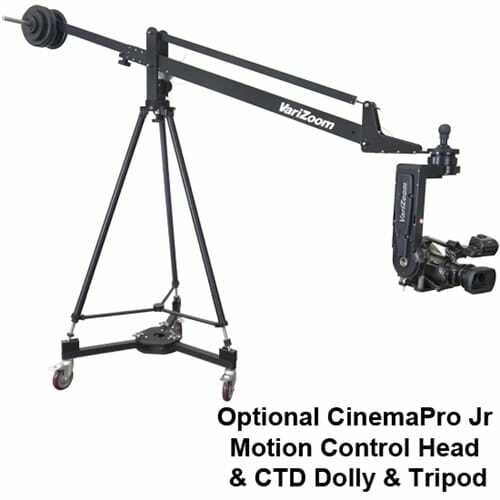 Tilting Mechanisms – Camera platform and tilt base join to the jib arm with stainless aircraft pins that insert through sealed radial ball bearings at the tilt base and high-performance sleeve bearings at the camera platform, resulting in silent, smooth motion. The camera platform also has a built-in spirit level for quick reference and adjustment. 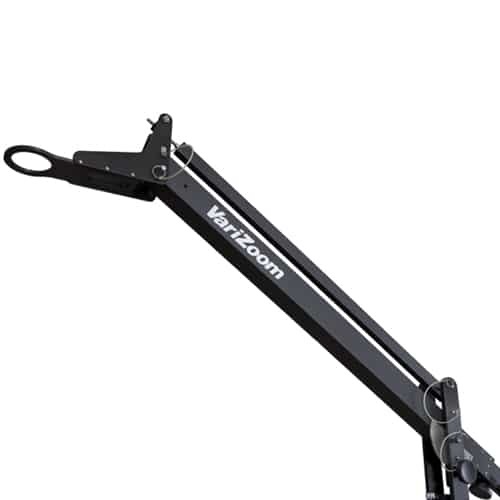 Telescoping Counterweight Section – Telescoping weight arm adjusts up to 3 feet for tremendous flexibility. Extend the arm to reduce the amount of weight needed, shorten it to work in tighter spaces, or simply adjust it to fine-tune the counterbalance. DCR100 Dolly (optional, not included with this kit) – Our heavy-duty dolly has an ample spread and a positive leg-locking system that securely captures our TCR100 crane tripod. TCR100 Crane Tripod (optional, not included with this kit) – Our custom-built crane tripod is the only tripod we recommend for use with any crane, no matter the brand. 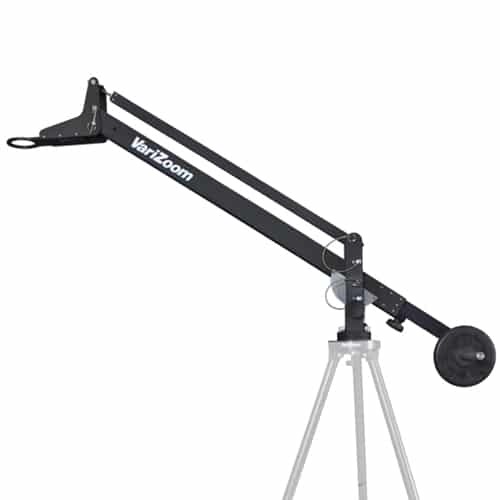 We recommend you never use a telescoping or collapsible tripod under a crane, no matter how small. 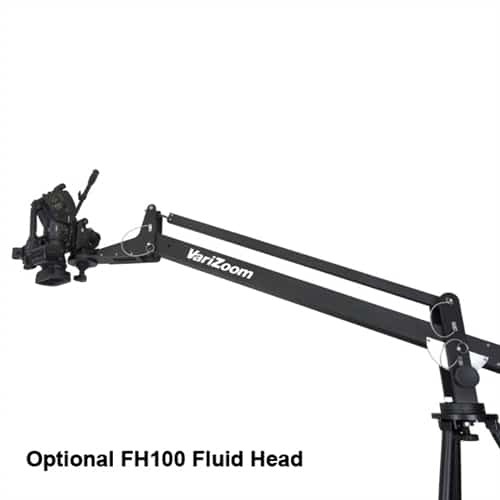 When supporting an expensive camera on a jib elevated above other valuable equipment or people, it is simply a no-brainer to eliminate all risk and use a single-section tripod instead of a telescoping type. 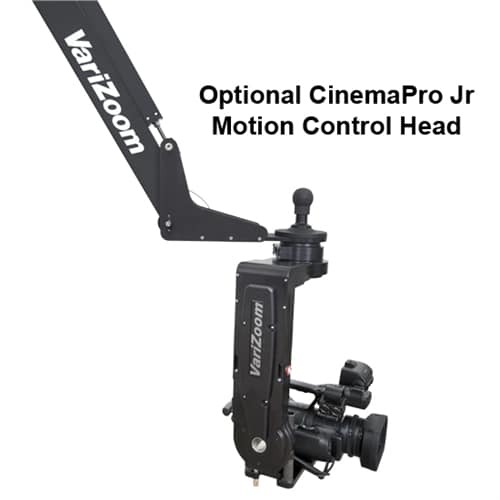 A VariZoom camera crane is a professional tool with quick setup, long-term reliability, and outstanding performance. Look closely to see the finer details of our thoughtful design, including tool-free assembly and stainless quick-release pins attached by lanyard so they’ll never be lost. Scroll down to see how VariZoom takes your investment seriously. 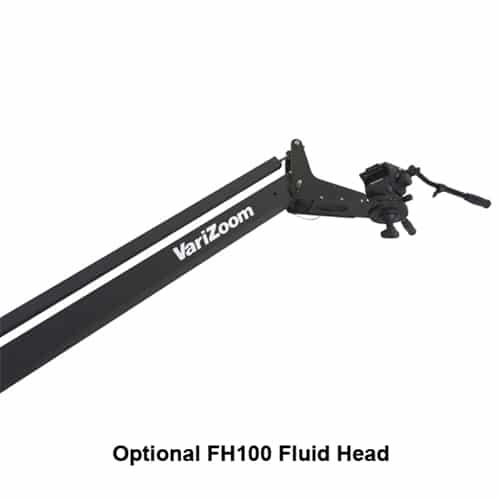 The QuickJib comes with VariZoom’s new lightweight, thickly-padded Soft Case. 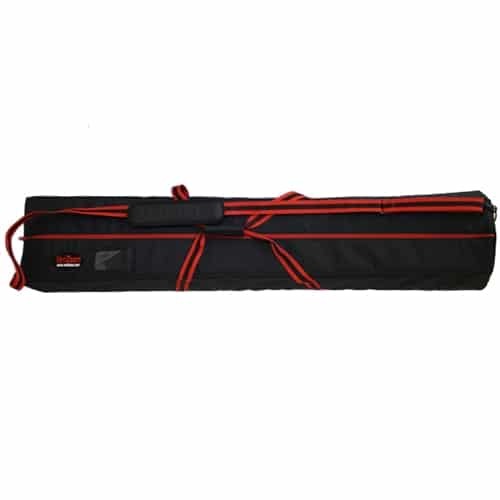 This heavy-duty case can also be purchased separately, and can be used for other video camera jib cranes. Exterior 59″x12″x11″; Interior 58″x11″x10″; Weight 4.9 lbs.